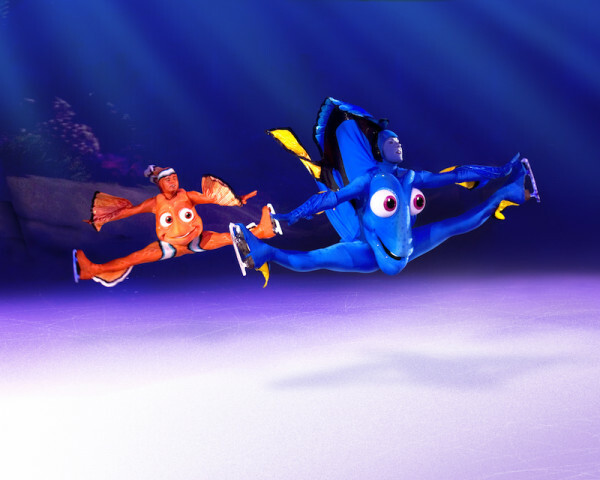 With March Break in full swing in Toronto, families are headed to the Rogers Centre for another great instalment of Disney On Ice. The kids and I got to check it out last night and we were not disappointed. Will, who is 7, called it “better than awesome” while Charlie enthusiastically declared that she loved every second of it. Here’s what you need to know to cap of your break with some Disney magic. 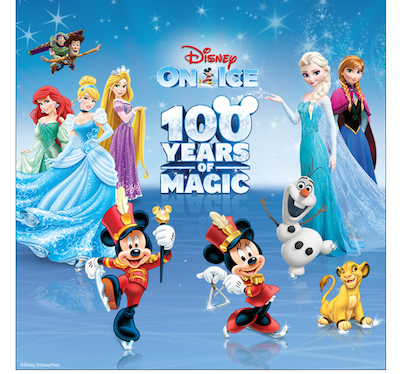 100 Years of Magic is on now at the Rogers Centre in downtown Toronto until March 20, 2016. Friday’s schedule includes shows playing at 11 am and 7 pm, Saturday includes shows playing at 11 am, 3 pm and 7 pm and Sunday the show closes out with 11 am and 3 pm performances. The show has a running time of about 2 hours including a 15 minute intermission. Don’t worry that it might be too long for young kids, we watched even the tiniest Disney fans sit enthralled in the goings on on the ice. You can buy tickets to the show here. 100 Years of Magic spans years of Disney storytelling and features 50 characters. My heart skipped a beat when Mickey Mouse began the show. Its hard to imagine a world without Disney films and its a lot of fun to revisit films like Pinocchio. The first half of the show features Pinocchio, Finding Nemo, princesses, and an incredibly cool segment featuring Frozen. The costumes in each segment are spot on and watching your Disney favourites come to life on ice is quite an experience. I loved holding Charlie on my lap while we sang along to the Frozen. I could feel her heart beating to the excitement and actually found it difficult to not just watch her face all night. She definitely has fallen for Disney in the same way I did as a child. Once the lights dimmed after a quick intermission, the show was back on. As the cast of Aladdin hit the ice, I fell further in love with the show. The thing about Disney is that as an adult you can escape into a part of your own childhood that has been forgotten but not necessarily lost. I grew up watching Jasmine and watching her skate flawlessly across the ice made my heart remember an innocence it hadn’t felt since the last time we were at Disney. Our group decided unanimously that the stars of the show were Anna and Elsa. Watching Elsa’s Ice Castle rise above the ice rink, you forget you are in Toronto at all. If you have the chance this weekend, I really recommend taking the time to take your kids. You won’t regret it and you’ll never forget the memories of watching their tiny faces enjoying such a magical night out.